IT'S NOT DOWN TIME. IT'S GET READY TIME. 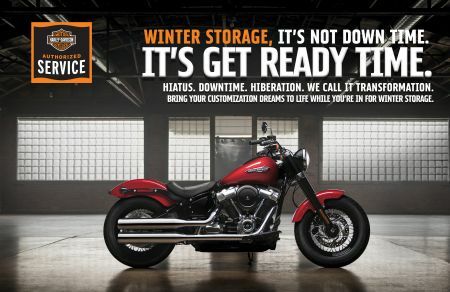 BRING YOUR CUSTOMIZATION DREAMS TO LIFE WHILE YOU'RE IN FOR WINTER STORAGE. 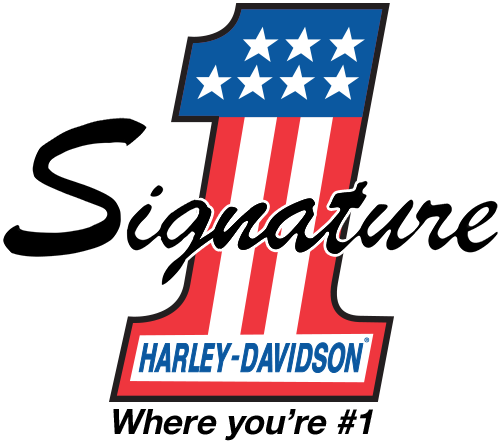 Spend $750 in Parts & Accessories and have them installed with Signature Harley-Davidson® between 10/1 & 3/31/2019 and receive a $249.00 credit. SPACE IS LIMITED, RESERVE YOUR SPOT TODAY!It's Get Ready Time!